Endoscopic sleeve gastroplasty is a newer, minimally invasive weight loss procedure that can help you lose weight even if you’re not a candidate for bariatric surgery. At Snow Bariatric Center in Trophy Club, Texas, experienced surgeon Robert Snow, DO, FACOS, FASMBS performs endoscopic sleeve gastroplasty to help promote permanent weight loss and reduce obesity-related health problems. The office is convenient to Dallas-Fort Worth, Hurst, and the surrounding areas. To learn more about endoscopic sleeve gastroplasty, call or use the online booking tool today. Endoscopic sleeve gastroplasty is a nonsurgical weight loss procedure that reduces the size of your stomach. After the procedure, your stomach is thin and shaped like a sleeve, so you feel full after eating smaller portions of food and can lose weight more easily. The procedure achieves a similar effect to gastric sleeve surgery without removing or even cutting, your stomach tissue. Though endoscopic sleeve gastroplasty is not a surgical procedure, you’re asleep while it happens. During the procedure, Dr. Snow inserts a flexible tube with a camera at the end called an endoscope into your stomach. The endoscope also has a suturing (stitching) device attached to it, which Dr. Snow uses to create precise sutures (stitches) that change the structure of your stomach. Who is a good candidate for endoscopic sleeve gastroplasty? Dr. Snow may recommend endoscopic sleeve gastroplasty if you’d benefit from significant weight loss but aren’t a candidate for bariatric surgery. Keep in mind that you can’t receive the procedure if you’ve already undergone bariatric surgery. Though many people have benefitted from bariatric surgery, it’s not for everyone. Most forms of bariatric surgery involve making significant changes to your stomach or digestive system. Depending on your health concerns, it may not be safe for you to undergo such an operation. Further, Dr. Snow typically recommends bariatric surgery if you have either a BMI over 40 or a BMI over 35 and have obesity-related health problems. Not everyone who struggles to lose weight through diet and exercise fits that profile. 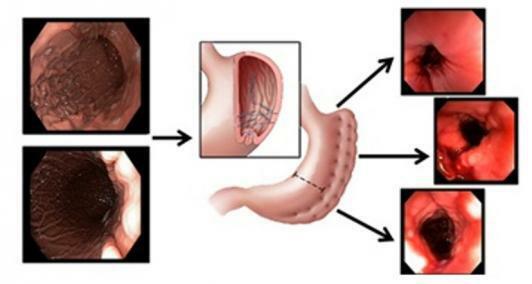 Another advantage of endoscopic sleeve gastroplasty over the gastric sleeve, which produces comparable results through surgery, is that the procedure is reversible, and the stitches are adjustable. If the lifelong commitment of bariatric surgery isn’t a good fit for you, endoscopic sleeve gastroplasty may be an alternative. What kind of results can I expect from endoscopic sleeve gastroplasty? Though endoscopic sleeve gastroplasty is not a surgery, it requires the same approach to get results as restrictive bariatric surgery. To lose significant weight after the procedure, you need to participate in a weight loss program under Dr. Snow’s supervision and make a long-term commitment to eating a healthy diet and exercising regularly. Endoscopic sleeve gastroplasty is a relatively new procedure, but early studies are promising. Depending on your BMI before the procedure, and your compliance with the weight loss program, you can potentially lose anywhere between 40 and 75 pounds in the year following the procedure. To learn more about how endoscopic sleeve gastroplasty can help you achieve your weight loss goals, call Snow Bariatric Center or use the online booking tool today.